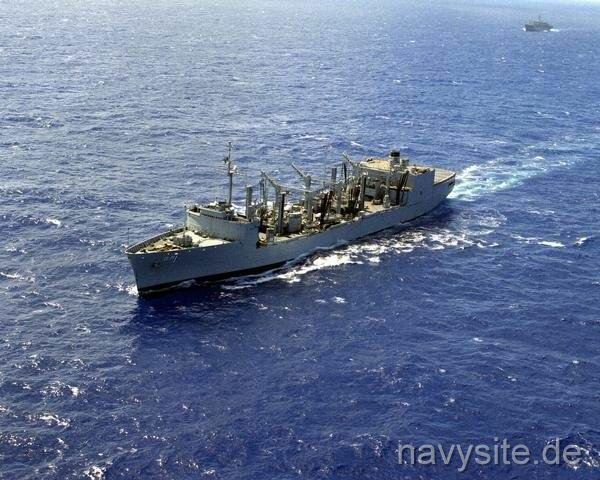 USS WICHITA was the lead ship of the WICHITA - class of replenishment oilers. 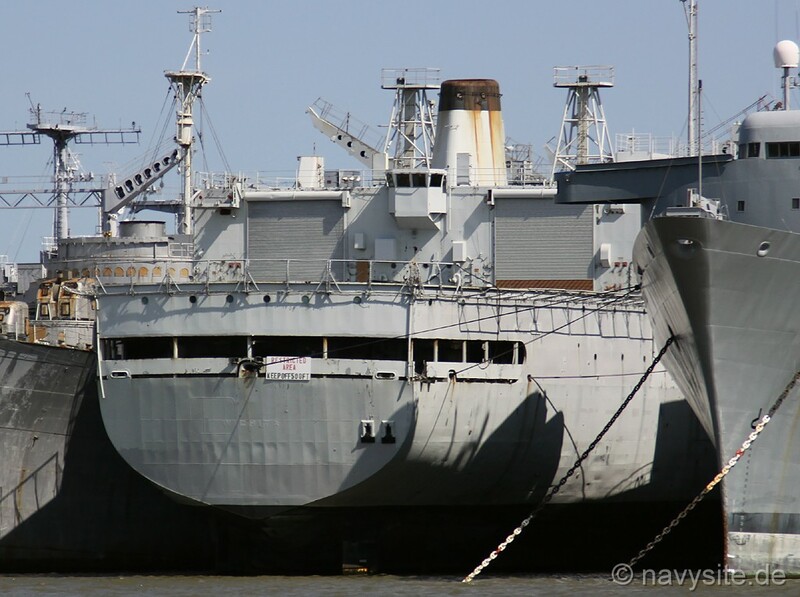 Decommissioned on March 12, 1993, and stricken from the Navy list on February 15, 1995, the WICHITA is now berthed at the Suisun Bay Reserve Fleet in Benicia, Ca., awaiting final disposal. This section contains the names of sailors who served aboard USS WICHITA. It is no official listing but contains the names of sailors who submitted their information. 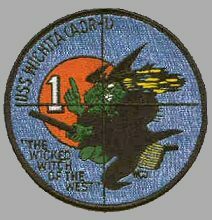 Click here to see which USS WICHITA memorabilia are currently for sale on ebay. Calif. USS RANGER (CV 61) collides with USS WICHITA during refueling. RANGER's flight deck elevator is damaged, but no injuries are reported. USS WICHITA damages its refueling capability. The port fueling riggins are put out of commission, including the loss of all fuel hoses. 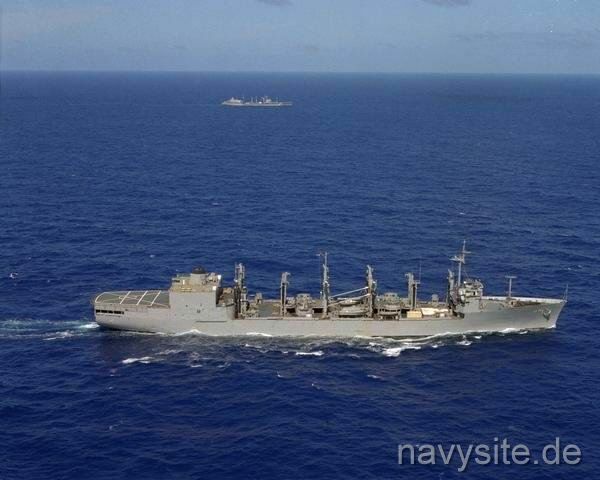 Also part of WICHITA's aft superstructure is crushed on the starboard side. 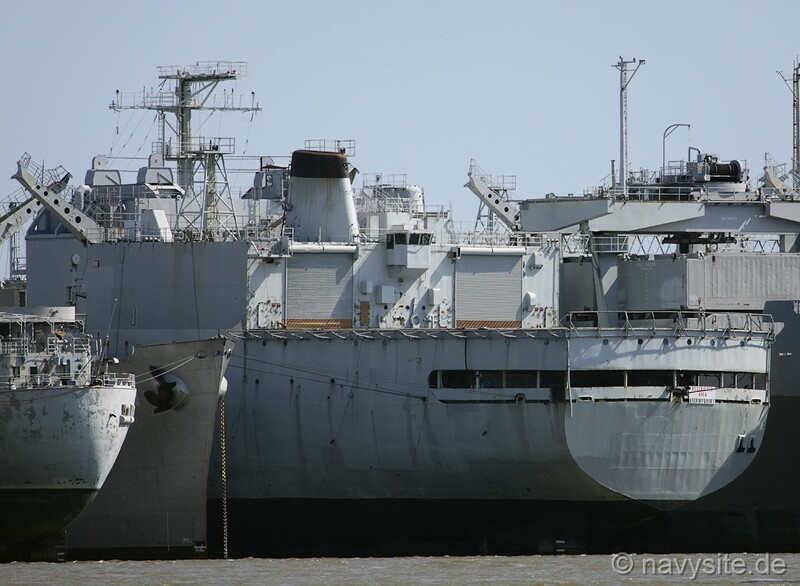 The two stern photos of the WICHITA were taken by me and show the ship laid-up at Suisun Bay, Calif., on March 27, 2010. Back to Replenishment Oilers list. Back to Ships list. Back to Selection Page. Back to 1st Page.